Create or edit a Project. Scroll down to the Integrations section and click Shortened URL from the drop-down list. Enter a name and the URL you want to track, and click the blue ADD button. Once you are returned to the Project page, click the blue Save button. Click on the Project in your PlanIT and copy the shortened URL. 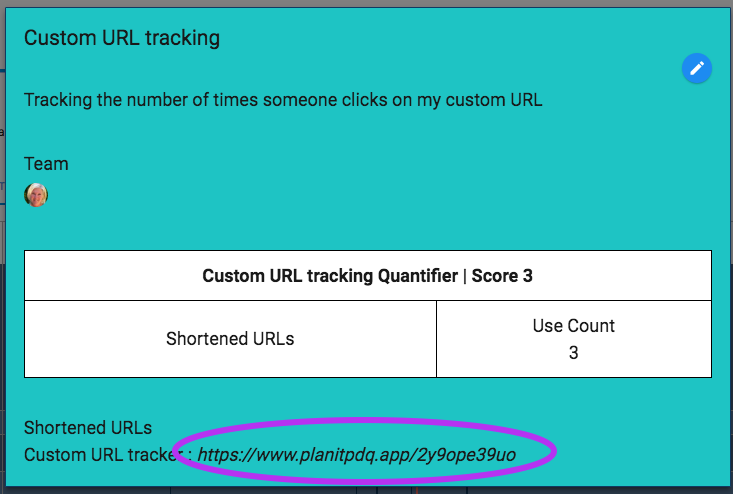 Use this in emails, on a website, in a blog post, or wherever you want to track the number of clicks to a link. The stats will update automatically.